Short-term vacation rental websites are fast gaining popularity worldwide as more travellers are cosying to rental apartments or homes in place of the traditional hotel experience. These emerging online models are founded on a simple concept – providing a platform for travellers seeking a place to stay and owners with a spare space to connect. Based on individual requirements and preferences, whether it is to rent an entire apartment or house, a private room in somebody’s home or a shared space on the living-room couch, be it for a night, a week or a month, guests can search for a place that suits them best and connect with the host from there. Hailed as the pioneer in the holiday rental apartment scene, Airbnb introduced its online peer-to-peer concept in the US in 2008 and has since expanded to more than 33,000 cities and 192 countries. While well-known in the western market, Airbnb has been a bit slow to foray into South-east Asia but it has since made up for lost time by expanding its operations into Thailand, Indonesia, Malaysia, the Philippines and Singapore late last year. As this wave of short-term vacation rentals has finally caught on in Asia, Asian players are now seeking their share of the pie with their local offerings. Competition is heating up with similar online rental platforms popping up to wrestle for this emerging market in Asia. Travelmob, a Singapore-based startup that entered the vacation rental scene last July, operates similarly to Airbnb but sets itself apart as an Asia-Pacific specialist by offering regional content to a global audience. According to Fuad, the number of room listings in their website has grown by 200 per cent since the start of the year to more than 14,000 properties. He said the site has been gathering “amazing response” with several thousands of nights booked every month, ranging from corporate retreats to honeymoons and expatriates relocating to a new city. Meanwhile, the US-based vacation rental site of HomeAway has just announced in July its acquisition of a majority stake in Travelmob to accelerate its expansion in Asia-Pacific. Another Singapore-based player, BeMyGuest, which was launched in October 2012, offers a similar suite of services as Travelmob but provides local activities and sightseeing tours across Asia in addition. Bhavana Gupta, marketing director of BeMyGuest, said: “Apart from accommodation, we also offer authentic activities that are less commonly known to tourists like prata-making or Chinese tea-appreciation classes to give them a taste of the local culture. “These unique experiences will appeal especially to the second-time visitors because it is unlikely for them to have done these before,” she added. Who are the short-term renters in Asia? As the online rental space heats up and become more mainstream, they present a potential to lure travellers away from traditional hotels with their proposition to provide guests real connections with their hosts as well as immersive local experiences in the destinations. Business models like BeMyGuest are especially attractive to the “new millennial customers” between 30 and 45 years old, remarked Bhavana. 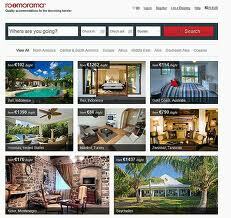 Similarly, Roomorama, another Singapore-based short-term rental player founded in 2009, also observed a younger demographic among its clientile. Users are “savvy travellers” between the ages of 25 and 55 and are often looking for a “value-for-money and unique experience”, said Jia En Teo, COO and co-founder of Roomorama. And unlike hotels, they can provide guests the comforts of a regular home with a full suite of amenities like kitchen, laundry facilities and entertainment systems, she pointed out. Nevertheless, such social stay models are unlikely to threaten the hospitality sector, opined these travel technopreneurs. However the popular practice of vacation rental may still take time to permeate through the Asian market, given that Asians’ travel habits tend to be more conservative. While Roomorama is currently more popular in cities like Beijing, Tokyo and Bangkok and Bali, Teo highlighted that one of the challenges they face is drawing awareness to this concept. Faud added that Asians do not like to host or stay in people’s homes, and “education is needed” to change that perception. But he also pointed out that there are many affluent Asians who invest in secondary homes, which then offer them the chance to monetise that property in such business models. As for BeMyGuest, Bhavana said travellers today are more “experimental” hence they do not face much concern on this aspect. There is no doubt that Asia is warming up to this peer-to-peer holidaying concept, and with that travellers can now exercise the option of seeking immersive local experiences which literally promises a “home away from home”.